AS A RESULT of the Cardiff case and the outbreak in the Rhondda, vaccination programmes were carried out at the Morgannwg hospital complex near Bridgend, which included the Glanrhyd Mental Hospital. The files show that most staff at the hospital were vaccinated – or re-vaccinated – during this period, but a decision was taken not to vaccinate elderly, infirm patients such as the 45 women on F3 (Langland Ward), many of whom were suffering from dementia. On 2 April, the South Wales Echo’s headline read ‘Smallpox All-clear Likely Tonight’. Next day it reported: ‘Smallpox – No More Cases Expected’. On 6 April, four patients on Langland Ward at Glanrhyd were reported to be ill with what might be smallpox. They were seen by the district Medical Officer of Health (Dr Alun Evans) and Consultant Dermatologist, Dr E. Waddington. Smallpox was diagnosed in eight patients – and the worst phase of the South Wales outbreak had begun. The ward was isolated and an emergency medical conference continued until after midnight. It was decided that patients suffering from smallpox would be transferred to the Blackmill Isolation Hospital in the Ogmore Valley. A senior registrar, Dr V. S. Pillutla volunteered to be locked into the hospital with them. Two nurses also volunteered to go to Blackmill to nurse the patients. Volunteer nurses also cared for the patients isolated on Langland ward, living ‘under most uncomfortable circumstances’ until caravans were brought into the courtyard behind the ward, which they could then use. Seven nurses and two domestic staff were locked into the ward. 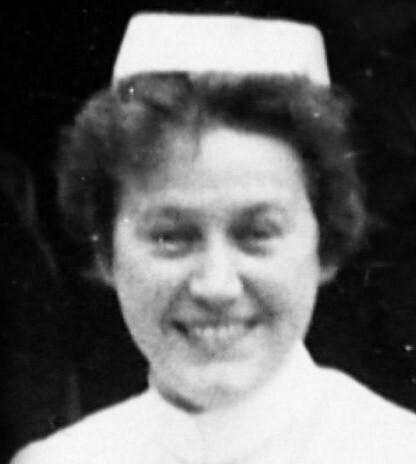 Among them was Joan Halstead, a nursing assistant, who had been working on the ward when smallpox was confirmed. One patient on Ward F3 died on 7 April. Her body was sewn up in sheets and a blanket before being passed through the door to staff on the outside. Staff at Blackmill were already caring patients from the Rhondda outbreak. They were now joined by a total of 20 patients from Glanrhyd, 11 of whom died between 8 and 16 April. 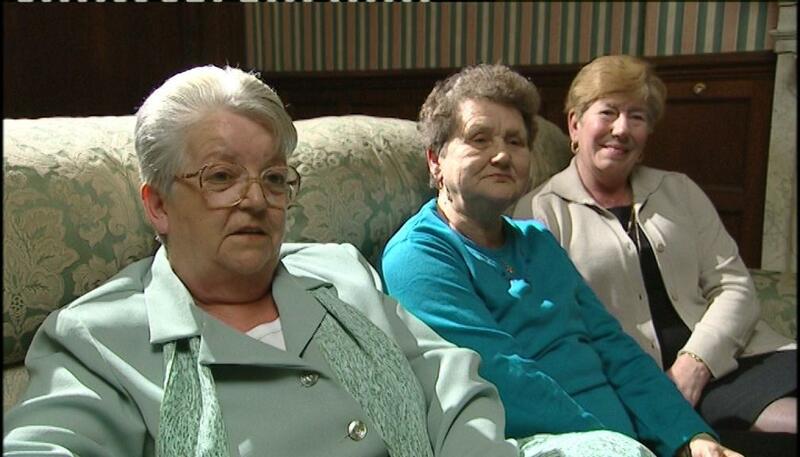 Among the staff at Blackmill were Jan Moxham, Enfys John and Jennifer McCann. As the battle against the virus went on in Langland Ward and at Blackmill, the medical authorities tried to work out how it had got into the hospital. In his report on the South Wales outbreak, R.B. Morley-Davies highlights the case of a patient who had died on F3 on 25 March. She had fallen ill on 17 March and developed a rash on 20th, which was attributed to a reaction to penicillin. Though not recognised at the time, it appeared she had died of smallpox. But she had not left the hospital since being admitted in February 1961. How had the disease got into Glanrhyd? That question was never fully answered. In his report, Morley-Davies raised the possibility of ‘unknown cases’ who might have ‘intentionally evaded surveillance’ and formed the connecting links between the three phases of the outbreak. He also raised the possibility that the disease might have been carried by air from the Heddfan Isolation Hospital on a hill less than a mile above Glanrhyd. The same possible explanation was suggested for the original case in the Rhondda, who lived below the Penrhys Isolation Hospital, to which Shuka Mia had been taken. Morley-Davies concluded that ‘the most probable source of infection in both the Rhondda and Bridgend cases was a highly modified ambulant case which was not known to the authorities concerned’. I was nine at the time and remember having the inoculation at Cowbridge. I vaguely remember the children’s “joke”. What is the Rhondda Valley famous for? – Smallpox. As an adult I have come to realise what an insidious disease Smallpox is and thank medical science that it now only exists in a very few laboratories. I was 18 and lived in Pantyrawel in the Ogmore Valley I can’t remember precisely when I had the vaccine I was pregnant at the time. 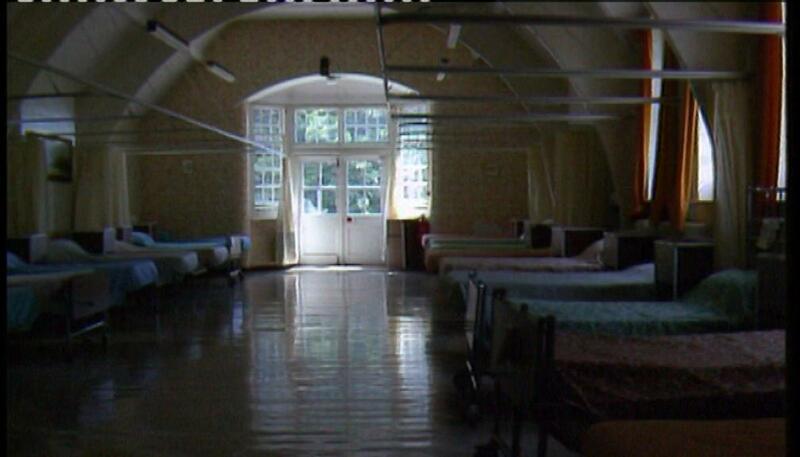 Blackmill Isolation Hospital was situated in Pantyrawel and was approximately 300 yards from my house. It was frightening at first knowing there were patients in the hospital with this disease and we watched vehicles coming and going. I can still remember the smell when they were fumigating the hospital. I lived in Bryntirion [near Bridgend] and I went to Cardiff with my sister. We had lunch at the Continental (Calcutta?) Restaurant. On the news at night they said the smallpox carrier had been there and to contact the Medical Officer. We were injected and isolated in the house for three weeks with Dr Kathleen Davies, medical officer for Bridgend coming every day. I was very ill – the bed shook and my mother and brother had to hold me down. I still have a scar on my arm. My father, Morgan Hugh Jones was born in Maesteg in 1918. He went into the army and served five years in India in the 2nd world war. When he returned, he trained and qualified as an SRN and became a psychiatric nurse, working in Angleton and Glanrhyd (we then lived in Aberkenfig). He became a charge nurse and seven years before he retired he was night superintendent. During the smallpox scare he had to remain in Glanrhyd. It must have been very worrying for my mother, as we had no telephone and therefore no contact. He was a very calm man and must have taken it in his stride. He had dealt with a lot of illness in India. We had our innoculations quite quickly as we were contacts. My husband remembers getting his in the local clinic, and having to queue. I was 16 at the time, my mother must have dealt with it very calmly as it didn’t really impact on me. It was my O level year – maybe that was why!